Remember Adema? Of course you do. Who could forget the catchy, hard-rocking 2001 song “Giving In.” The guys of Adema are back for a reunion with the group’s original lineup, with frontman Marky Chavez heading up the clan. Adema released their self-titled debut album in 2001. That set made them a staple on rock radio with the tracks “Giving In,” “The Way You Like It” and “Freaking Out,” was released in 2001. 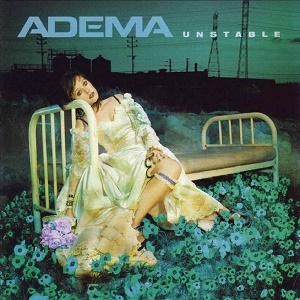 After Adema released their 2003 sophomore record “Unstable, “Chavez left the band. Chavez, who actually is the half-brother of Korn fronmtan Jonathan Davis, rejoined the group in 2009 and exited again in 2011. After Chavez initially left Adema, the band recorded two more studio albums: 2005’s “Planets” and 2007’s “Kill the Headlights.” They also put out an EP in 2013, “Topple the Planets,” which boasted three new tracks as well as re-recorded versions of some older material.